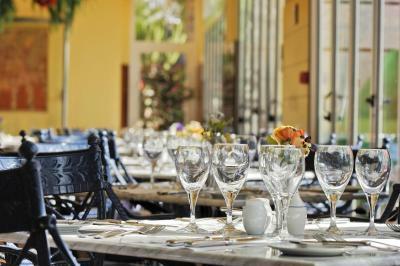 Lock in a great price for VIK Hotel San Antonio – rated 8.2 by recent guests! 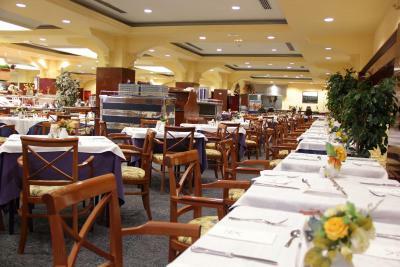 The location of this property is excellent, always entertainment in the evening and food wise plenty to choose from. 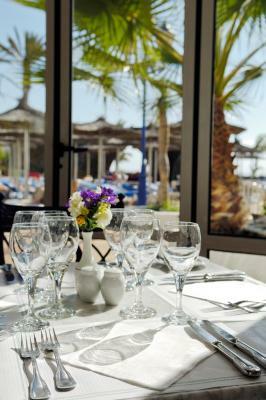 Peaceful, good entertainment, good food , nearness to the beach. Breakfast very good. Staff friendly and helpful. Location of hotel very good. I loved the food, fresh fruit,omelet & pancakes fr b'fast. Good choices of salads for evening meal, surprise little gift of chocolates in my room on valentines day. I had asked for a room with a sea view & I got a beautiful view from the balcony & at night the pool area was lit up with arches of light it was lovely. I liked the sitting areas outside. the bedrooms were a little tired but overall it is a lovely place to stay. 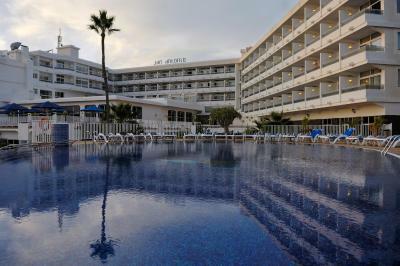 VIK Hotel San Antonio This rating is a reflection of how the property compares to the industry standard when it comes to price, facilities and services available. It's based on a self-evaluation by the property. Use this rating to help choose your stay! 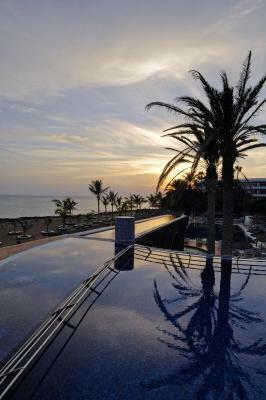 One of our top picks in Puerto del Carmen.VIK Hotel San Antonio enjoys a beachfront location on Playa de los Pocillos Beach in Lanzarote. 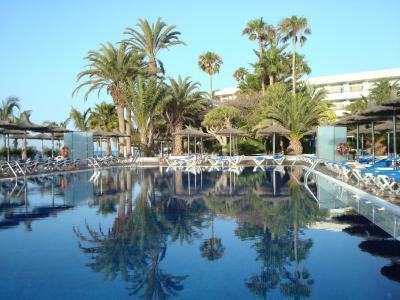 It features outdoor pools, tennis courts, and a spa area with sauna and steam bath. WiFi is available in public areas. 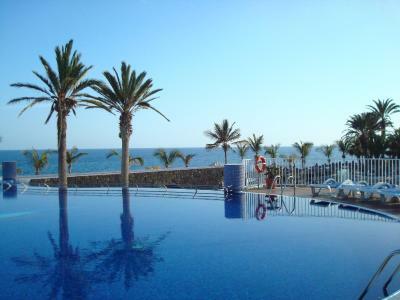 The air-conditioned rooms at the San Antonio Hotel Lanzarote are brightly decorated and include a private balcony. A fridge, and tea and coffee making facilities are available for an extra cost. 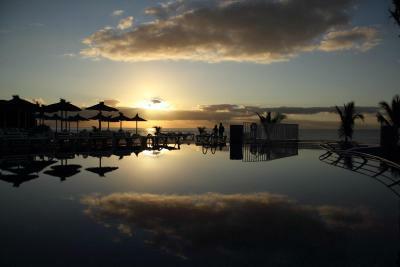 The VIK San Antonio Lanzarote complex has a buffet restaurant, cocktail bar and pool bar. 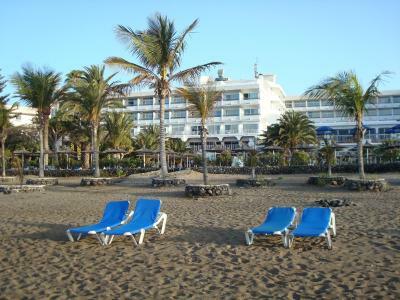 Puerto del Carmen is a short walk away, with many shops, bars and restaurants. 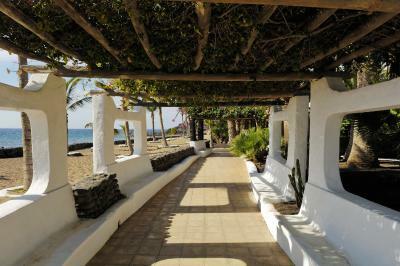 The hotel is just 3.7 mi from Arrecife Airport and Timanfaya National Park is also nearby. The San Antonio VIK Hotel offers free private parking. 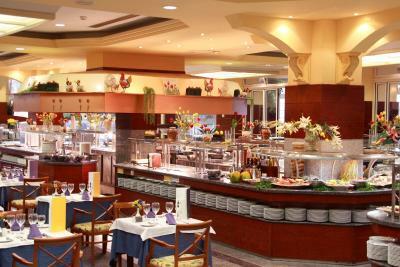 When would you like to stay at VIK Hotel San Antonio? This air-conditioned room offers a furnished balcony with partial sea views. The room includes satellite TV and a mini-bar, while the bathroom comes with toiletries. 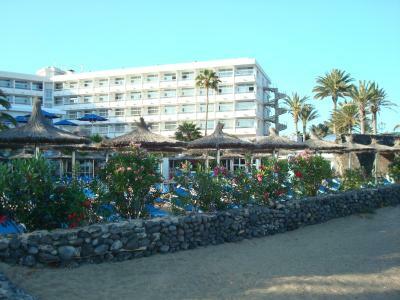 This air-conditioned room offers a furnished balcony with direct sea views. The room includes satellite TV and a mini-bar, while the bathroom comes with toiletries. This spacious, air-conditioned room offers a living area with a sofa bed and a furnished balcony at ground level with views of the garden. The room includes satellite TV, while the bathroom comes with toiletries and bathrobes. A mini-bar is available at an extra cost. 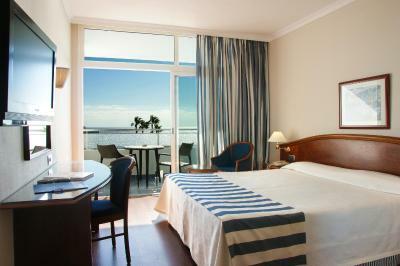 This air-conditioned room offers a furnished balcony with direct sea views. The room includes satellite TV and a minibar, while the bathroom comes with toiletries. 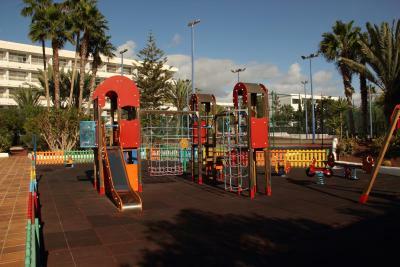 Featuring a large balcony, this air-conditioned room has a twin or a double bed on prior request. 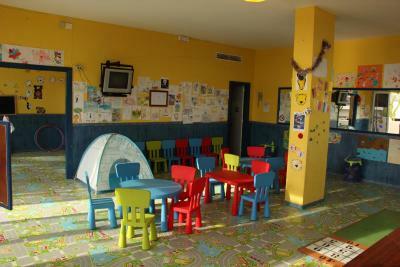 Rooms have a flat-screen satellite TV and a safe and minibar are available for an extra fee. Featuring a large balcony, this air-conditioned room comes with a twin or a double bed on prior request. 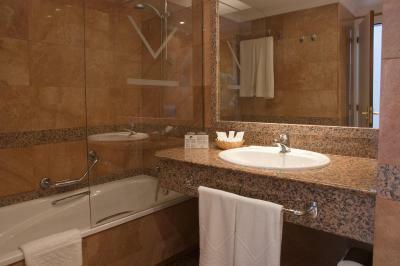 Rooms have a flat-screen satellite TV, while a safe and mini-bar are available at an extra cost. House Rules VIK Hotel San Antonio takes special requests – add in the next step! VIK Hotel San Antonio accepts these cards and reserves the right to temporarily hold an amount prior to arrival. Please note safety deposit boxes, fridges and tea and coffee making facilities are available for an extra charge. Please note that WiFi is not available in the rooms, only in public areas. I think kettle and fridge should be included in the package price as both are essential. Nice no noise at night hotel! Food good!. None that I could think off. It was pretty chaotic, especially in the morning. Aspects of hotel area unsafe. Too many dangerous steps.